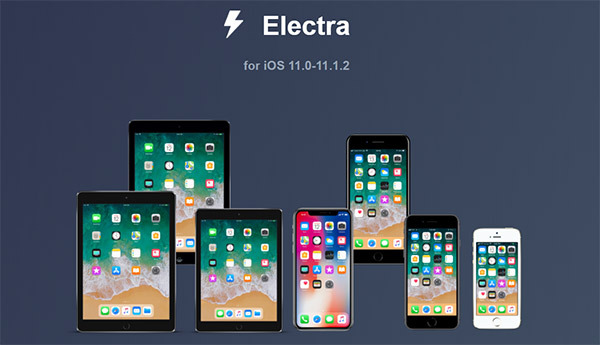 A day cannot go by right now without a new Electra update being released. This time we have beta 9 of the jailbreak toolkit finding its way into the hands of everyone who wants to get their hands on it, and with a few changes this time around it is well worth updating if you use it. For those unfamiliar with Electra – you really should be, given the frequency with which are are covering its beta updates – the software is known as a jailbreak toolkit rather than a jailbreak, essentially because it is missing some of the creature comforts normally associated with a standard jailbreak tool. Namely, there is no Cydia, among other things. Still, with Electra you can basically jailbreak iOS 11.0 through iOS 11.1.2, which makes it a great tool for those creating tweaks and who need a way to test their work on devices. And since it features Comex’s Substitute – which is basically an alternative to Saurik’s Cydia Substrate – you can install tweaks on it too if you like using something like Tweak Installer. With that said, what’s changed in beta 9 of Electra? Plenty, actually. Sounds worth a try, doesn’t it? The latest beta of Electra can be downloaded in .IPA form from the official website coolstar.org/electra/ with installation carried out via the well known Cydia Impactor. We also have a full guide available on how to use Electra jailbreak which you can find over at: How To Jailbreak iOS 11.1.2 Using Electra With Computer [Tutorial]. work with Beta 9. All Tweaks work fine with both 8 and 9. With 9 the themes did not show up in Anemone. Cyber is so much easier to use than all of the cut and pasting with filza. This is probably why it’s not working for you in beta 9. Will there be a cydia support? I will buy Iphone X if there will be complete cydia support. Hopefully one day when Saurik finishes updating. If you are buying an iPhone X and you buy new there’s a high chance that it’ll. e iOS 11.1.2 as mine was when bought recently brand new, phew!!!!! If you’re buying second hand ask the iOS version – majority of people upgrade immediately whiteout even looking at if any benefit with updating firmware!!! !